Bringing a diverse range of complex litigation experience to the Firm, Jason serves as Counsel to Meltzer Lippe in the Litigation Department. Jason began his career as an associate with LeBoeuf, Lamb, Greene & MacRae, LLP. Jason’s practice with Meltzer Lippe includes complex commercial, estate, construction, tax, insurance, and employment litigation. Jason’s complex commercial litigation representations include, among others, prosecuting the rights of commercial real estate brokers, defending shareholder and partnership disputes, royalty fee sharing disputes, breach of contract, fraudulent inducement and conversion actions. Jason’s estate litigation experience includes all aspects of Surrogate’s Court practice including Will contests. Jason often represents the interests of aggrieved beneficiaries against improper fiduciary conduct, including obtaining the landmark relief of having a beneficiary granted limited letters of administration for estate tax return purposes. Jason also represents executors and trustees in disputes with co-fiduciaries and beneficiaries regarding the proper allocation and/or distribution of assets. Jason’s construction litigation experience includes representing trade contractors and project owners in all aspects of defective work disputes. Jason has extensive first-chair American Arbitration Association construction arbitration hearing experience. 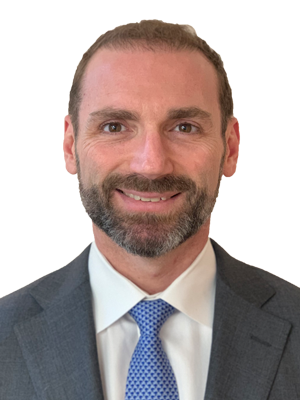 Jason’s tax litigation experience includes representing high net worth individuals in tax controversies with the Internal Revenue Service and he has trial experience before the United States Tax Court. Jason has also represented clients in employment related disputes including claims under the Americans with Disabilities Act, Title VII, New York State Executive Law, New York City Administrative Code and matters involving the EEOC. Jason’s complex insurance litigation representations include prosecuting the rights of insurance carriers against third party administrators for unprofessional insurance claims handling practices, defending financial institutions in class actions, and representing policyholders in a broad range of coverage disputes. Jason advises his clients in intellectual property disputes and also in general corporate matters involving intellectual property, manufacturing and distribution rights. While not in the office Jason is an avid golfer, golf course architecture enthusiast and also enjoys cooking.